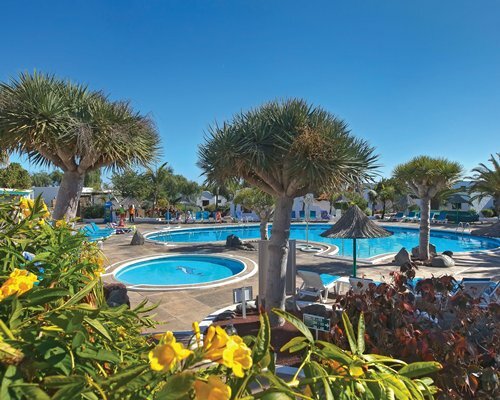 The Club Las Calas resort is located in Lanzarote's vibrant town, Puerto del Carmen. The one- and two-bedroom apartments are modern, spacious and all come complete with fully-equipped kitchens. 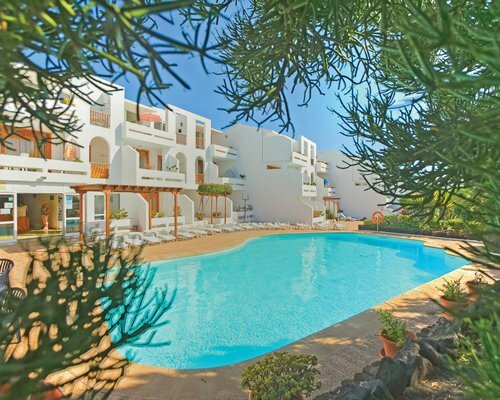 Facilities include four heated swimming pools surrounded by a sun terrace complete with sunbeds and parasols, plus two children's pools. 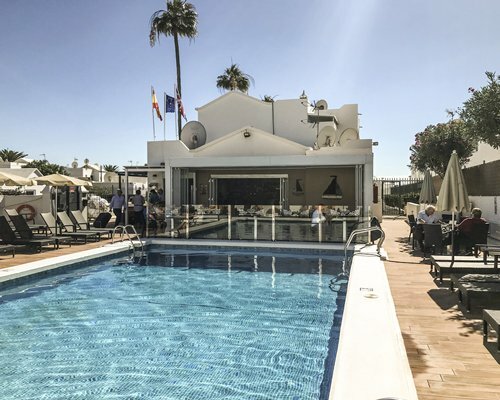 The resort also has two restaurants and bars offering live entertainment, as well as a gym, sauna, squash court, pool tables, arcade games and a children's club. BY AIR: Nearest airport: Arrecife 10kms. BY ROAD: From the airport follow signs for Yaiza/Puerto del Carmen (LZ2). Take the Puerto del Carmen exit and stay on this road (LZ40) passing the petrol station on each side, signed for Puerto del Carmen. Take the 3rd exit signed Puerto del Carmen (approx 4.5km). At the roundabout go straight over following signs for Puerto del Carmen. Turn left into Calle Togio. At the roundabout turn right into Calle Garajonay. 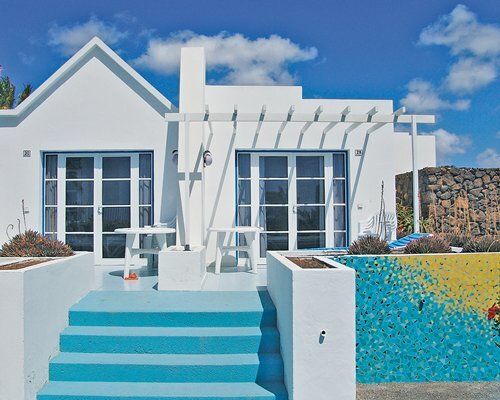 Take the next right into Calle Guayadeque and the resort reception and main entrance is on the right hand side. "Fitness center will be closed from March 18, 2019 to May 16, 2019." Mandatory Security deposit is 150.00 Euros. Cash or Credit is accepted. Refundable, due at check-in.